The National Youth Service Corps (NYSC) members serving in Jos North, in Plateau, has conducted free medical outreach for 300 persons in Jos metropolis. 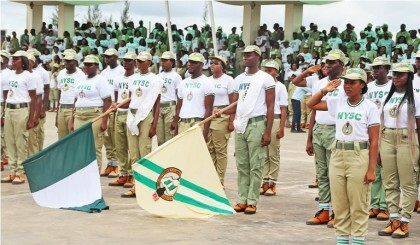 The corps members, who are members of the Peer Educators Trainers (PET), Community Development Service Group (CDS), provided the service on Wednesday in Jos. Mr Agune Teryange, the CDS Leader, told the News Agency of Nigeria (NAN) that the medical outreach was conducted to create awareness on Hepatitis which was now becoming a silent killer and to enable people to know their HIV status. “The exercise is aimed at enlightening the residents on their health status and to enable them known their HIV and hepatitis status. “Since Hepatitis usually presents its symptoms when it has caused damage to the liver and medically difficult to manage; we as peer educators and trainers want to bring this trend to an end by creating awareness and also conducting free Hepatitis and HIV tests for the people,’’ he said. Teryange revealed that the group also conducted free malaria tests. He further said that those who tested positive to both the HIV and Hepatitis test would be counselled and referred to the Jos University Teaching Hospital for more action. Mrs Tina Chung, one of the beneficiaries of the free medical exercise, told NAN that she was elated, saying that the exercise afforded her the opportunity of knowing her HIV and Hepatitis status.